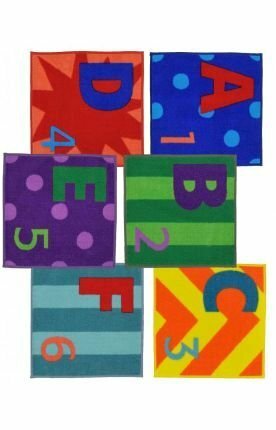 Joy Carpets Kid Essentials Misc Solid Color Letters and Numbers Area Rug, Multicolored, 16" x 16"
Product prices and availability are accurate as of 2019-04-17 22:20:13 UTC and are subject to change. Any price and availability information displayed on http://www.amazon.com/ at the time of purchase will apply to the purchase of this product. 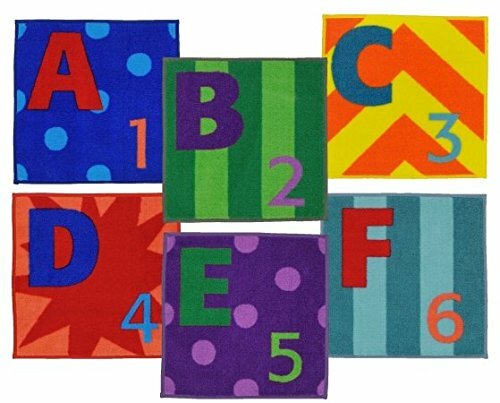 Create individual sitting areas with letters & numbers sitting squares. This set of twenty-six, 16" x 16" carpet squares combines bright bold colors with the alphabet and numbers and can be arranged in a variety of ways for organizational, circle time, or other recreational activities. Non-skid backing keeps the squares safely in place, and they can be washed with soap and water to remove soil and stains. Squares can be stored in a reusable, carrying case.